Writing: Students have been learning how to write a Persuasive text. They have been doing really well at backing up their reasons for trying to convince people. We have also been working on showing our own Voice when we write and making sure we know how to organize our ideas before we start any writing task. We are working on all Comprehension strategies and focusing on Determining what is important from what we read and Making Inferences. Students should practice reading out loud at home. This will help with their Reading Fluency. We are working on Money concepts to 100 cents. We are also working on Telling Time. Students will have a Quiz on Money and Time next week. We move on to Area and Perimeter middle of April. Students are encouraged to keep practicing adding and subtracting with and without regrouping at home. We are learning about 3 States of Matter: Solids, Liquids and Gases. We will be watching videos and doing experiments in class. 9am-11am at St. Patrick's Fallowfield Church. very happy to be back in the class with my crew. Math - we are working on addition and subtraction of 2 digit numbers with and without regrouping. We are also working on money and time. I will put links on the side for students to use for practice. We are working on identifying the text features of non-fiction. We are also working on comprehension skills (asking questions and inferring). Students are also working on reading fluency and expression. Students are working on writing complete sentences. They are making sure they use our SENTENCE CHECKLIST to self-edit their work. We will be starting Persuasive writing. Word Wall Words: All word wall words will be posted on the blog by Thursday. We are working on Air and Water. We are finishing up Basketball skills. We always emphasize team work and good sportsmanship. 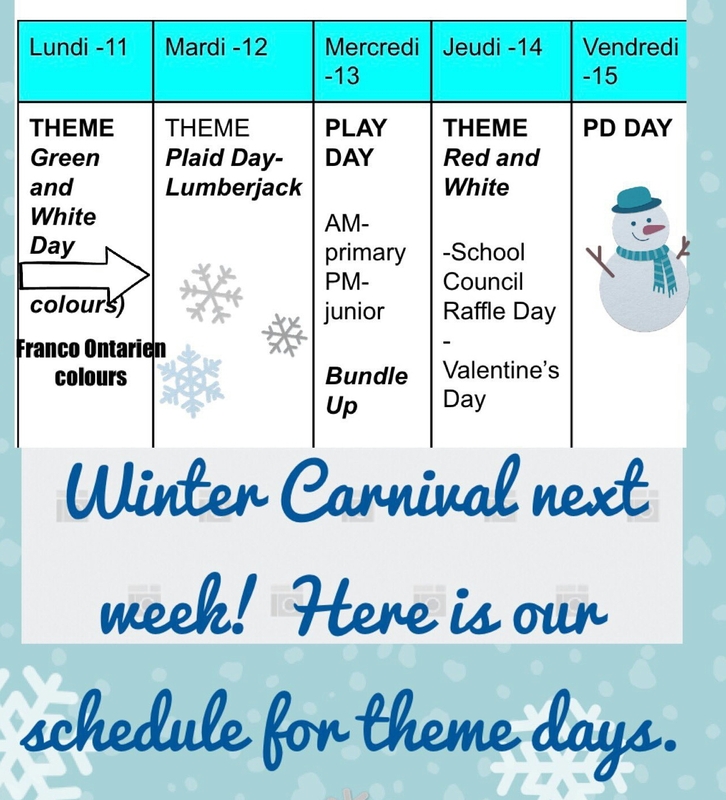 If you have any questions, please send a note in your child's agenda. Get ready Lions. 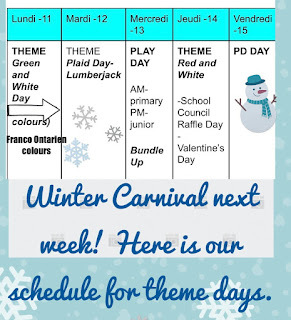 Next week is ‘Carnaval’ week! Lots of fun planned. Growth Mindset will be a big part of Grade 2. It makes you really think!